Many people automatically assume that moving house has to be expensive and unmanageable. But does that really need to be the case? There are some things you can do to bring down the logistical costs associated with moving into a new house. If you want to learn more about these things, you should read on now. Then you can put what you learn into action when it comes to moving into a new place. There are few things more costly than replacing damaged items after the move is over. But don’t just cross your fingers and hope for the best. You can take active steps to ensure that you don’t make any mistakes that lead to damages or breakages on the journey. This begins with the packing process. The first rule is that you can never have too much bubble wrap. The more you use, the better protected your valuable items will be. And rather conducting the move yourself, you might want to get help from professional movers who know how to do the job properly and safely. Sometimes, asking for help can be the best option when you’re moving. Rather than paying lots of people to take care of all the different things that need doing, call in a few favors. If someone you know owes you, call them up and ask for their help. They can make your time much freer, and you will make fewer mistakes too. But, most importantly, you will save some money, and that’s what it’s all about. So, don’t be afraid to get lots of people involved. Ask for help, beg them for a few spare hours of their time and take advantage of the generosity of the people you know. You should never buy boxes when you’re moving. The world is full of old cardboard boxes that no one is using, so buying your own makes no sense at all. You can easily find someone willing to lend you some boxes and help you out when the time to move arrives. And you always need more boxes than you think you will. Remember, every single thing you own will be going into those boxes. And if you pay for every one you use, you will end up wasting a lot of your money on boxes, which is the last thing you want to do. Finally, you should make sure that you review your utility arrangements. This can be done before you even arrive at your new home. 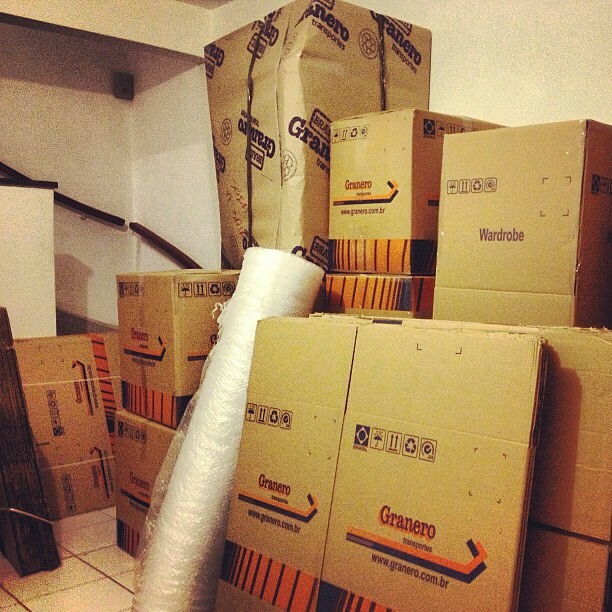 Getting things sorted will mean that everything will be in order by the time you get to your new place. If you remain with your existing provider, you probably won’t be getting the best deal. Moving gives you the chance to review things, and you can pay different amounts in different areas. So, you need to ensure you’re getting the best deal possible in your new location.